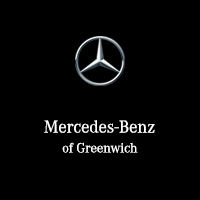 Take your Rye ride to the next level in a Mercedes-Benz SUV from Mercedes-Benz of Greenwich. Whether you choose the performance-ready GLC or the spacious GLE, there’s an option that will work for you and your family — you can even opt for an AMG® SUV option with powerhouse performance features. Take a look at our inventory online before visiting us near Stamford to explore our new Mercedes-Benz SUVs in person! LOADED WITH VALUE! Comes equipped with: Polar White, Premium Package. This Mercedes-Benz GLA also includes Air Conditioning, Clock, Climate Control, Tachometer, Dual Zone Climate Control, Cruise Control, Privacy Glass/Tinted Windows, Power Steering, Telescoping Steering Wheel, Steering Radio Controls, Power Mirrors, Lthr. Steering Wheel, Driver Airbag, Fog Lights, Passenger Airbag, Intermittent Wipers, Side Airbags, Rear Defogger, Security System, AM/FM, Anti-Theft, Bluetooth®, Rear Spoiler, Rear Wipers, Center Arm Rest, Remote Trunk Lid, Vanity Mirrors, Heated Mirrors, Rear Fog Lamps, Child Proof Door Locks, Daytime Running Lights, Reverse Camera, Side Curtain Airbags, Roll Stability Control, Power Lift Gate, Tire Pressure Monitor, Carpeted Floor Mats, Overhead Console, HD Radio. Air Conditioning, Climate Control, Dual Zone Climate Control, Cruise Control, Tinted Windows, Power Steering, Power Mirrors, Leather Steering Wheel, Clock, Tachometer, Telescoping Steering Wheel, Steering Wheel Radio Controls, Driver Airbag, Passenger Airbag, Side Airbags, Security System, Rear Defogger, Fog Lights, Intermittent Wipers, AM/FM, Anti-Theft, Bluetooth®, Carpeted Floor Mats, Center Arm Rest, Child Proof Door Locks, Daytime Running Lights, Heated Mirrors, Overhead Console, Power Lift Gate, Rear Fog Lamps, Rear Spoiler, Rear Spoiler, Rear Wipers, Remote Trunk Lid, Reverse Camera, Roll Stability Control, Side Curtain Airbags, Tire Pressure Monitor, Vanity Mirrors - Dealer not responsible for typographical errors of any sort, including but not limited to pricing. Exact mileages may vary. -LOADED WITH VALUE! LOADED WITH VALUE! Comes equipped with: Night Black, Premium Package. This Mercedes-Benz GLA also includes Air Conditioning, Clock, Climate Control, Tachometer, Dual Zone Climate Control, Cruise Control, Privacy Glass/Tinted Windows, Power Steering, Telescoping Steering Wheel, Steering Radio Controls, Power Mirrors, Lthr. Steering Wheel, Driver Airbag, Fog Lights, Passenger Airbag, Intermittent Wipers, Side Airbags, Rear Defogger, Security System, AM/FM, Anti-Theft, Bluetooth®, Rear Spoiler, Rear Wipers, Center Arm Rest, Remote Trunk Lid, Vanity Mirrors, Heated Mirrors, Rear Fog Lamps, Child Proof Door Locks, Daytime Running Lights, Reverse Camera, Side Curtain Airbags, Roll Stability Control, Power Lift Gate, Tire Pressure Monitor, Carpeted Floor Mats, Overhead Console, HD Radio. Air Conditioning, Climate Control, Dual Zone Climate Control, Cruise Control, Tinted Windows, Power Steering, Power Mirrors, Leather Steering Wheel, Clock, Tachometer, Telescoping Steering Wheel, Steering Wheel Radio Controls, Driver Airbag, Passenger Airbag, Side Airbags, Security System, Rear Defogger, Fog Lights, Intermittent Wipers, AM/FM, Anti-Theft, Bluetooth®, Carpeted Floor Mats, Center Arm Rest, Child Proof Door Locks, Daytime Running Lights, Heated Mirrors, Overhead Console, Power Lift Gate, Rear Fog Lamps, Rear Spoiler, Rear Spoiler, Rear Wipers, Remote Trunk Lid, Reverse Camera, Roll Stability Control, Side Curtain Airbags, Tire Pressure Monitor, Vanity Mirrors - Dealer not responsible for typographical errors of any sort, including but not limited to pricing. Exact mileages may vary. -LOADED WITH VALUE! LOADED WITH VALUE! Comes equipped with: Denim Blue Metallic, Premium Package. This Mercedes-Benz GLA also includes Air Conditioning, Clock, Climate Control, Tachometer, Dual Zone Climate Control, Cruise Control, Privacy Glass/Tinted Windows, Power Steering, Telescoping Steering Wheel, Steering Radio Controls, Power Mirrors, Lthr. Steering Wheel, Driver Airbag, Fog Lights, Passenger Airbag, Intermittent Wipers, Side Airbags, Rear Defogger, Security System, AM/FM, Anti-Theft, Bluetooth®, Rear Spoiler, Rear Wipers, Center Arm Rest, Remote Trunk Lid, Vanity Mirrors, Heated Mirrors, Rear Fog Lamps, Child Proof Door Locks, Daytime Running Lights, Reverse Camera, Side Curtain Airbags, Roll Stability Control, Power Lift Gate, Tire Pressure Monitor, Carpeted Floor Mats, Overhead Console, HD Radio. Air Conditioning, Climate Control, Dual Zone Climate Control, Cruise Control, Tinted Windows, Power Steering, Power Mirrors, Leather Steering Wheel, Clock, Tachometer, Telescoping Steering Wheel, Steering Wheel Radio Controls, Driver Airbag, Passenger Airbag, Side Airbags, Security System, Rear Defogger, Fog Lights, Intermittent Wipers, AM/FM, Anti-Theft, Bluetooth®, Carpeted Floor Mats, Center Arm Rest, Child Proof Door Locks, Daytime Running Lights, Heated Mirrors, Overhead Console, Power Lift Gate, Rear Fog Lamps, Rear Spoiler, Rear Spoiler, Rear Wipers, Remote Trunk Lid, Reverse Camera, Roll Stability Control, Side Curtain Airbags, Tire Pressure Monitor, Vanity Mirrors - Dealer not responsible for typographical errors of any sort, including but not limited to pricing. Exact mileages may vary. -LOADED WITH VALUE! Comes equipped with: Denim Blue Metallic, Premium Package. LOADED WITH VALUE! Comes equipped with: Polar White, Premium Package. This Mercedes-Benz GLC also includes Air Conditioning, Clock, Climate Control, Tachometer, Dual Zone Climate Control, Cruise Control, Homelink System, Privacy Glass/Tinted Windows, Power Steering, Telescoping Steering Wheel, Steering Radio Controls, Power Mirrors, Lthr. Steering Wheel, Driver Airbag, Passenger Airbag, Intermittent Wipers, Side Airbags, Rear Defogger, Security System, AM/FM, Anti-Theft, CD Player, Bluetooth®, Rear Wipers, Center Arm Rest, Remote Trunk Lid, Vanity Mirrors, Heated Mirrors, Rear Fog Lamps, Child Proof Door Locks, Daytime Running Lights, Reverse Camera, Side Curtain Airbags, Roll Stability Control, Power Lift Gate, Tire Pressure Monitor, Carpeted Floor Mats, Overhead Console, Aux. Audio Input, Front Heated Seats, HD Radio. Air Conditioning, Climate Control, Dual Zone Climate Control, Cruise Control, Tinted Windows, Power Steering, Power Mirrors, Leather Steering Wheel, Clock, Tachometer, Homelink System, Telescoping Steering Wheel, Steering Wheel Radio Controls, Driver Airbag, Passenger Airbag, Side Airbags, Security System, Rear Defogger, Intermittent Wipers, AM/FM, CD Player, Anti-Theft, Aux. Audio Input, Bluetooth®, Carpeted Floor Mats, Center Arm Rest, Child Proof Door Locks, Daytime Running Lights, Front Heated Seats, Heated Mirrors, Overhead Console, Power Lift Gate, Rear Fog Lamps, Rear Wipers, Remote Trunk Lid, Reverse Camera, Roll Stability Control, Side Curtain Airbags, Tire Pressure Monitor, Vanity Mirrors - Dealer not responsible for typographical errors of any sort, including but not limited to pricing. Exact mileages may vary. -LOADED WITH VALUE! When you’re ready to explore models like the GLS and GLA in person, visit our dealership near Darien. Whatever your budget or needs, we’ll help you find the Mercedes-Benz SUV that best suits you! If you need any more information before stopping by, don’t hesitate to contact us at your convenience.